Established in 1981, Giordano is one of the best known and established apparel retailers in the Asia Pacific region, employing over 8,000 friendly staff with over 2,400 shops operating in more than 30 countries and regions worldwide. Giordano embodies today’s contemporary lifestyle choices — simplicity in design and quality in substance. Our total commitment to superior service and outstanding quality and value has enabled the company to successfully grow the brands Giordano, Giordano Ladies, Giordano Junior, BSX and Beau Monde. 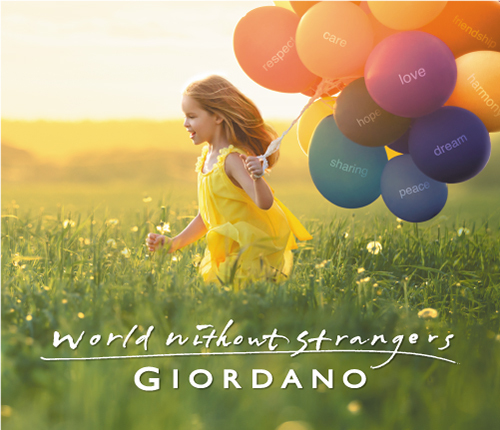 The essence of Giordano is to provide relevant, essential and timeless fashion for all; and to develop apparel for everyone regardless of ethnicity, nationality or culture, truly illustrating our brand value “World Without Strangers”.